Need a little more time? Extended care can help. 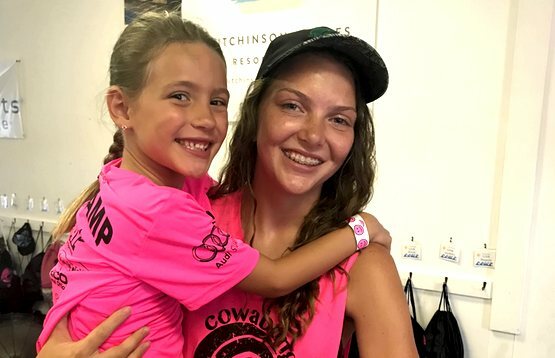 Cowabunga Summer Surf and Watersports Camp extended care will provide your camper with supervised childcare enabling you to drop-off your child up to 1 hour before your camp day begins and/or pickup your full day camper as late as 5:15 pm. 24 Hour notice required prior to reqested extended care. Billed in 1 hour increments. Create your Account & Register for Camp! Already registered? Sign in and proceed to shop. when you need more time for yourself. to give your child personalized care. in a safe and comfortable indoor environment.